February 6, 2018 – San Mateo, CA – Kyndi™, the leading Explainable artificial intelligence company that was recently named to the AI 100 for 2018, today announced that it had hired Janice Rohn as the company’s first Vice President of User Experience. With more than 20 years of experience in developing user experience for global brands, Rohn will work with Kyndi’s product and technology teams to ensure that Kyndi’s Explainable AI™ products and solutions deliver maximum value and impact for enterprise and government customers. Rohn has been responsible for creating and launching hundreds of successful products and services, many of which have won awards. Early in her technology career, she joined Apple, where she co-authored the Macintosh Human Interface Guidelines and co-designed OS 7, QuickTime, the PowerBooks, and other products. As a researcher at Stanford, Rohn worked on various AI-related projects, including the expert system Oncocin. Before joining Kyndi, Rohn served as VP of User Experience at OpenX. Earlier, she held senior user experience positions at a range of companies, including Siebel, Sun Microsystems, and Wynyard Group. Rohn has served as a user experience instructor and an advisor to international design firms and is a Founding Board member and past President of the Usability Professionals’ Association. Working with the White House and members of Congress, she also led an initiative on the economic benefits of user experience. Rohn graduated from the Stanford Graduate School of Business Executive Education program and earned a B.A. degree from the University of California, Santa Cruz. Kyndi is an artificial intelligence company that’s building the first Explainable AI™ platform for government, financial services, and healthcare. We transform business processes by offering auditable AI systems. Our product exists because critical organizations cannot use “black box” machine learning when they are required to explain the reason for any decision. 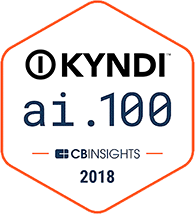 Kyndi recently was named to the AI 100 for 2018. 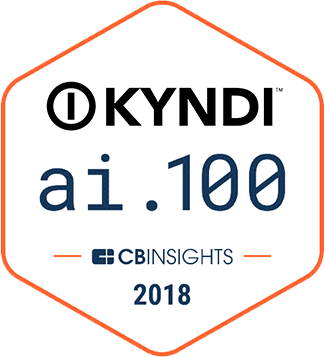 Sponsored by CB Insights, the AI 100 includes the most promising 100 private companies working on groundbreaking artificial intelligence technology. Based in Silicon Valley, Kyndi is backed by leading venture investors. For more information, visit www.kyndi.com.